Omved Shampoos and Conditioners Formulas - Omved shampoos and conditioners are free of parabens, sulfates, silicones, petrochemicals, glycols, phthalates, synthetic colors and perfumes. The formula is 100% biodegradable. This is sounds like the best music to my ears! Omved also manufactures a range of different skincare and haircare. 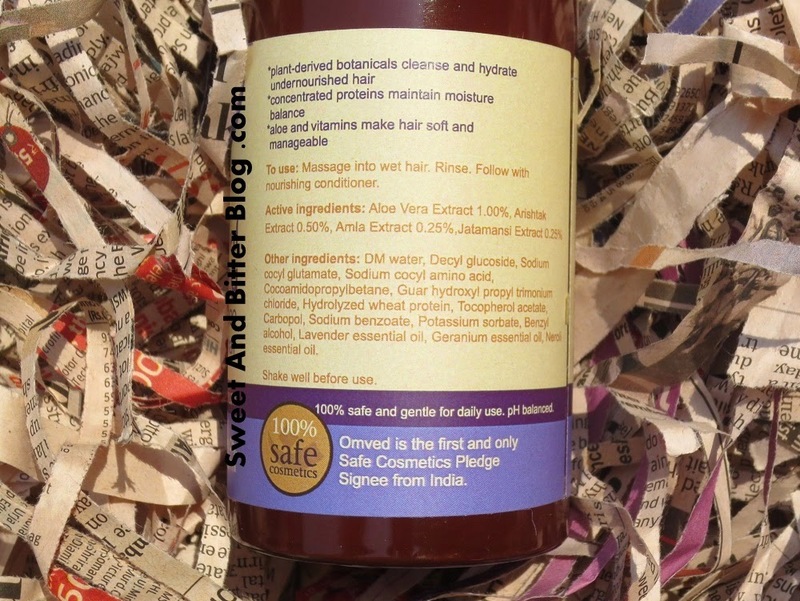 All of Omved products are free from chemicals and contains potent natural ingredients. Packaging - Opaque metal container with pump. The plastic caps are prone to cracking when in use. Not travel friendly. 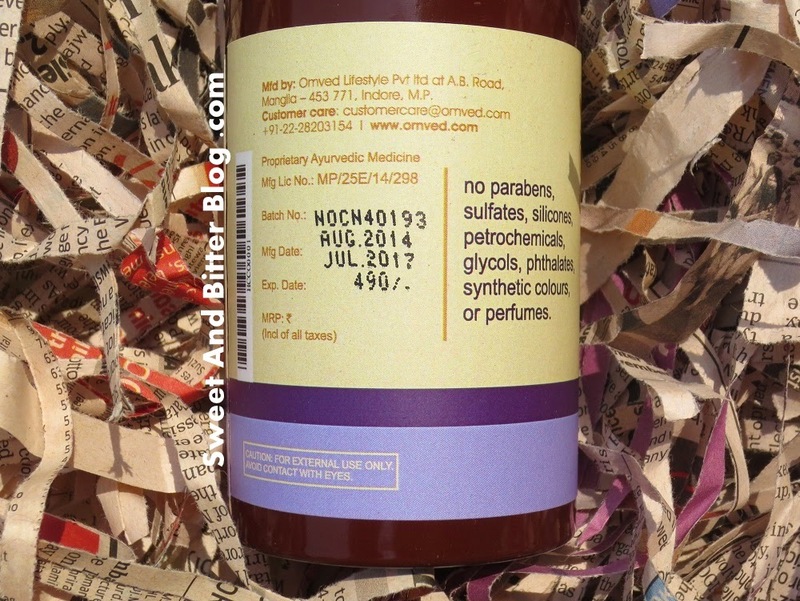 Price - Rs 490 for 100 ml. Availability - At online stores. 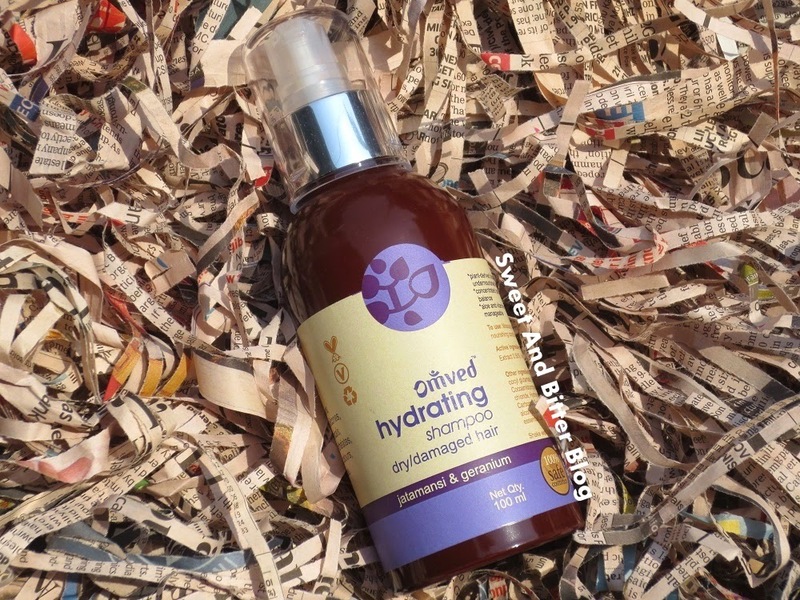 Omved Hydrating Shampoo is a chemical free shampoo that is gentle for daily use. 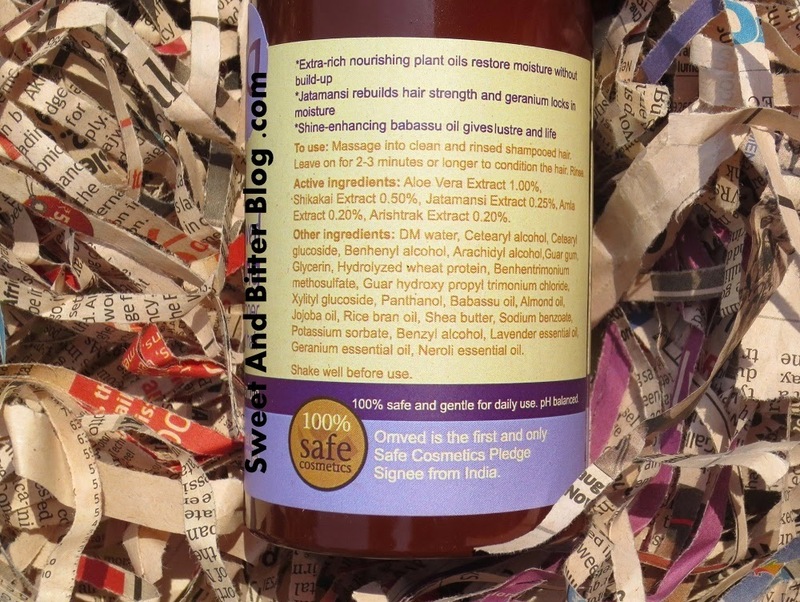 As it is targeted for dry and damaged hair, it is not harsh on hair. It does makes hair softer and bouncier. It was tough for me to use for the first time as I was not sure how to make is work best. It foams moderate and cleans properly. It is a good shampoo who are looking for a soft and gentle chemical free shampoo meant for dry hair. It didn't made my scalp itchy. Unfortunately, these days (hot humid summer), my scalp tends to get oily and greasy very soon. This shampoo is not able to combat that properly. It washes off oil from head massage but not dirt or grease from scalp. I had to use other shampoo (TBS Rainforest Moisture) when my scalp got greasy. But, this is not even made for oily scalp so, I should not be complaining. I will try a different one next time. Omved Nourishing Conditioner is also chemical free. 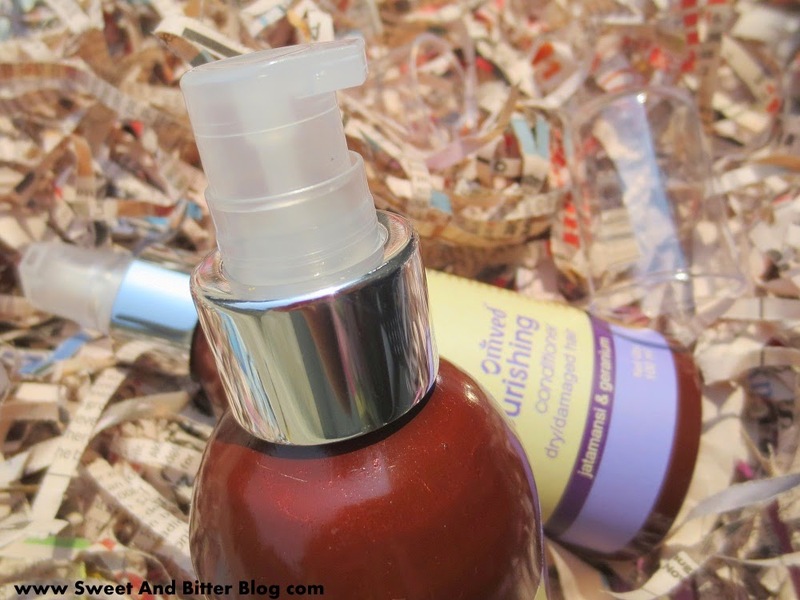 As it is tough to get chemical free conditioners, I was not even using one for a long time. It is a good discovery. This is thick and creamy. It does not gives the slippery feels of general conditioner so, I really like it. This is full of oils so, it makes my hair heavy. Hence, I make sure to dilute it before use. But, it makes for a great hair mask. Anyways, the conditioner will surely last much longer than the shampoo. 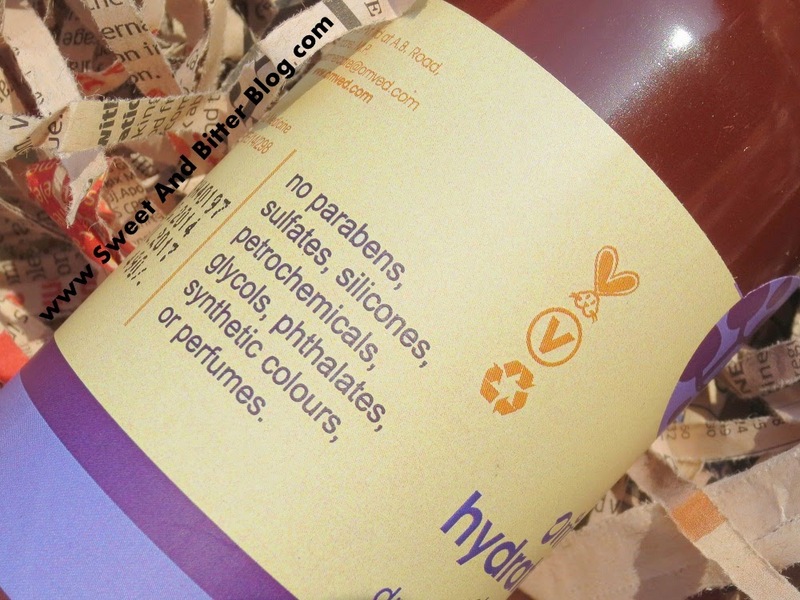 Overall - I appreciate that an Indian company is selling chemical free products and relying on natural products for skincare and haircare. Omved Hydrating Shampoo is a good product and makes hair healthy. It is gentle enough to be used daily. Unfortunately, it does not cleans scalp properly. 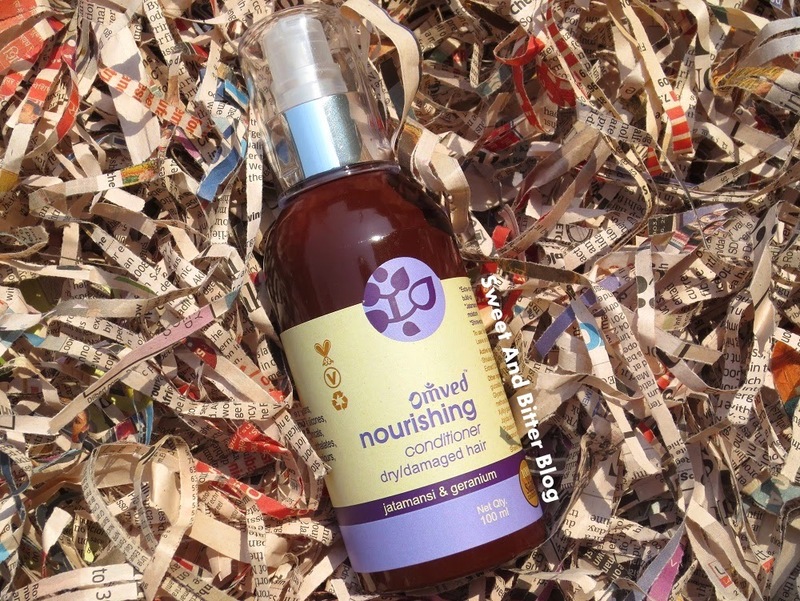 Omved Nourishing Conditioner is a highly moisturizing conditioner. It can also be used as a hair mask. But, it can weigh down hair unless diluted before use. The pricing and availability of Omved products is an issue.